1950 — the communist party had taken control of the mainland, and Chiang Kai Shek had resigned to Taiwan. A rift between Chiang and Acting ROC President Li Tsung-jen prevented the President and his personal representative and Chief of Staff, Kan Chieh-hou from entering Taiwan or returning to the Mainland. Kan's five children leave alone from Hong Kong aboard the S.S. California Bear bound for the United States. 2006 — fifty-six years later. 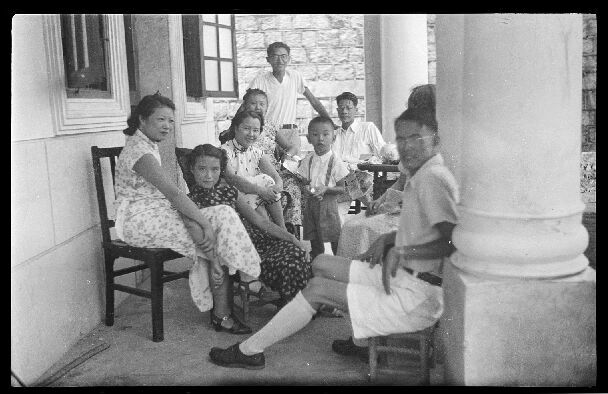 A far flung family from Shanghai is returning together, for the first time in half a century, to be in Hong Kong again for a wedding of a grandson and a pretty girl from Wenzhou.